A 15-year-old driver has been charged in an SUV that crashed on Meadowbrook State Parkway, killing three teens and injuring herself and seven others. The girl was arrested and charged with three counts of manslaughter and three counts of criminally negligent homicide, New York State Police said. She was scheduled to be arraigned on Monday in Nassau County Family Court. It wasn't clear whether she had an attorney. Police say the girl was driving the stolen SUV with nine other people inside. The oldest person in the vehicle was 17. The youngest was 18 months old. All of them lived in Uniondale. Three teens died when they were ejected when the SUV flipped over several times before landing in a marshy area in Hempstead, state police said. The victims were identified as Herbert Leo Aviles Maravila, 16; Marlon Carbajal, 15; and David Sanchez, 13. The driver and the other survivors all suffered minor injuries, police said. Newsday reported that Sanchez was the younger brother of the driver and the toddler was her son. 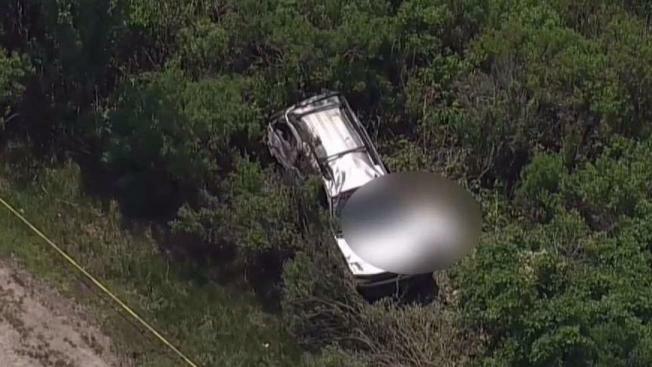 The 2005 Chevrolet Trailblazer had been stolen and the owner's son was killed in the crash, Newsday reported. The owner didn't know his son had taken it, the newspaper reported. The group was headed to Jones Beach, the paper reported. The Uniondale High school was offering grief counseling to students this weekend and next week. "The Uniondale Union Free School District is heartbroken over the tragic lives from our community this afternoon," Superintendent William K. Lloyd said in a message posted online.